Headed to PC, 360, and PS3 this May is Operation Flashpoint: Dragon Rising. 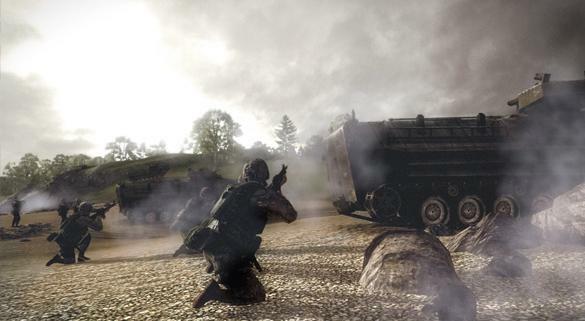 A tactical shooter, the game will employ highly realistic gameplay. PC fans will enjoy 8 player co-op, while PS3 and 360 users will have to settle for 4 players working together, in addition to NPC squadmates. If you are a fan of real world based, super realistic tactical shooters, like a certain vacationing staff member, you might want to keep your eye on this one. In the meantime, check out the first gameplay footage video after the break.